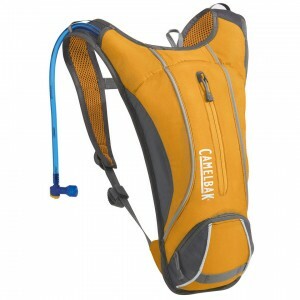 Bladder Systems: A CamelBak (Bladder System) can be very useful in any emergency situation. They come in a variety of sizes and allow you to have your hands free while staying hydrated. The bladder systems can require regular cleaning, particularly in hot and humid environments. To prevent mold from developing, you can store most bladders in the freezer. The CamelBak Skeeter Hydration Pack is designed specifically to be stored in the freezer and requires no cleaning. I’ve been storing my CamelBak in the freezer for years and it works great with limited cleaning. Quart Gatorade Bottles: I suggest these because they are essentially free and reasonably durable. 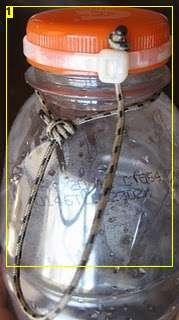 With some zip ties and para-cord you can make a quart Gatorade container into an emergency survival canteen. Obviously, other plastic sports bottles will work too. The idea is to have a lot of water in any survival kit or bug-out-bag. They should be used only as back-up supplies, but their availability and price allows you to have many. Store them in your freezer so they will be ready for any emergency situation. Keeping frozen bottles or jugs of water in the freezer can also reduce your energy bill by helping maintain the freezer’s temperature. In the event of a power outage, they will also help keep your fridge cold for extended periods of time. Quart or Gallon Ziploc Bags: As an emergency backup container, these will work. 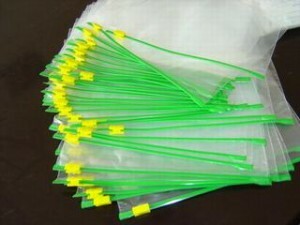 Carry the filled bags in something like a bandana, and they will be less likely to burst. If you anticipate needing additional water containers, take something more durable. Another good hydration tip is to carry a V-8 vegetable or fruit juice in a can. Don’t even think about bringing soda! Soda can act as a diuretic and severely dehydrate you in a survival situation. Also try to keep a metal cup or pot handy to boil water with. This entry was posted in Advice and tagged bottle, canteen, hydration, storage, water by matt. Bookmark the permalink.